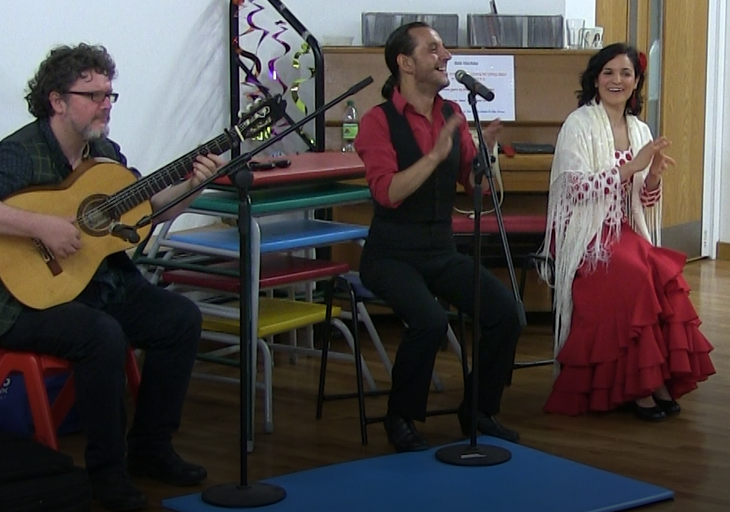 Assembly on Thursday 22nd June was very interesting - we had a Flamenco dancing and singing demonstration from special visitors Carlos, Carmen and Angus on guitar. The children were fascinated by the dancing and joined in enthusiastically to shout out olé to encourage them. Miss Davidson (our resident Spanish teacher) was very proud of the way the children were able to answer Carlos's questions in Spanish and both him and Carmen were very impressed at the children's linguistic skills. Throughout the rest of Thursday and Friday, all the children had the opportunity to try the dancing for themselves in the Flamenco workshops and they certainly seemed to enjoy themselves. Everyone agreed that it was one of the most interesting and engaging assemblies ever and it was an excellent way to round off International Week.